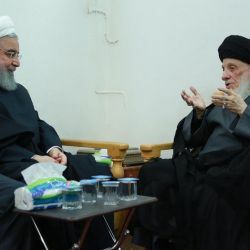 Grand Ayatollah Sayyid al-Hakeem meets with the President of the Islamic Republic of Iran, Shaykh Hasan al-Rouhani. His Eminence Grand Ayatullah Sayyid al-Hakeem visits the Maqam of the Awaited Imam (may Allah hasten his reappearance) in Masjid al-Sahlah, Kufah. 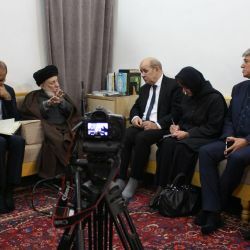 His Eminence the Grand Ayatollah al-Hakeem called the researchers in theology to think freely to reach the truth, to spread it, to hold on to it and to act according to it. 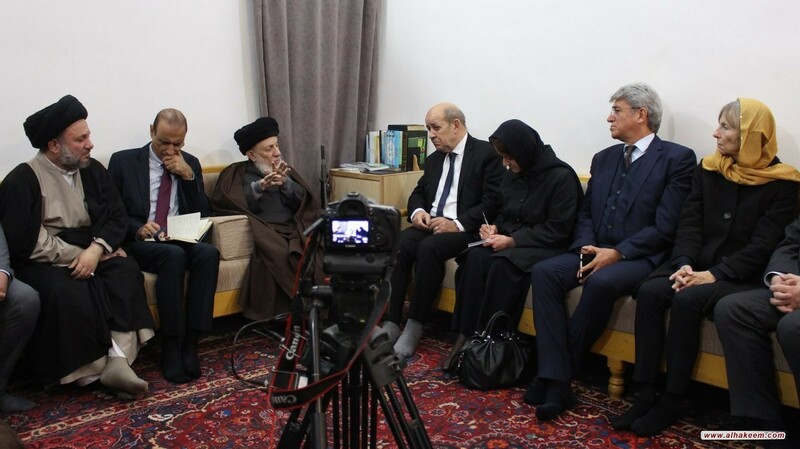 His Eminence Grand Ayatollah Sayyid Muhammad Saeed al-Hakeem received the French Minister of Foreign Affairs, Mr. Jean-Yves Le Drian, with his team, on Tuesday 15 January 2019. The Minister praised the stand that the Iraqi citizens have taken and the sacrifices they have made against the terrorists Daesh that targeted Iraq and other nations including France. 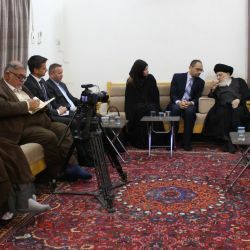 He also expressed his appreciation of the role of the Shiite religious leadership – the Marji’yya – in al-Najaf al-Ashraf in spreading the culture of moderation and co-existence amongst the various groups that exist in Iraq. 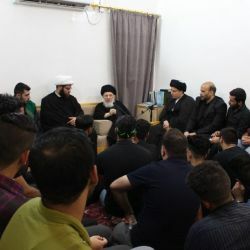 His Eminence explained that the stance of the Marji’iyya has come from the school of the Ahlulbait (peace be upon them) which is based on logic, wisdom, moderation, and this school represents the true teachings of Islam which the Holy Prophet (peace be upon him and his progeny) came to deliver. 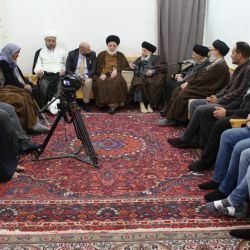 His Eminence presented various examples of the stance of the Ahlulbait (peace be upon them) in solving the problems of extremism and terrorism. 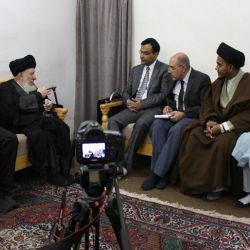 His Eminence Grand Ayatullah Sayyid Muhammad Sa’eed al-Hakeem, hosted the ambassador of India in Iraq, Dr. Pradeep Singh Rajpurohit. 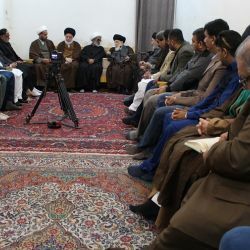 His Eminence, Grand Ayatollah Sayyid al-Hakeem directs university students towards investing into the tragedy of Karbala, for the purpose of calling to the right path, towards salvation and accomplishment of this world and the Hereafter. I had done Istikhara for a particular matter and I acted according to it then. However, after some time had passed the same issue arose again. If I act differently, will I be going against the Istikhara? The original Istikhara was done according to the current circumstances then. The passage of time leads to different circumstances, so acting differently this time will not be considered going against the original Istikhara. Nowadays, dogs are used in rescue services, to assist in searches and for security purposes. Can one purchase a dog for these purposes? It is permissible to buy and sell hunting dogs. It is not permissible to purchase other kinds of dogs. However, one can pay money in exchange of the owner letting go of his right over the dog. What are your views about the book al-Irshad? It is one of the important sources that researchers refer to in order to learn about the biography of the Prophet and the Imams (peace be upon them all). I just reverted to the shiâ€™a Islam. I would like to know the Islamic position of vegetarianism? You can refuse to eat meat even if it is not recommended in some religious texts. © All rights for The Office of Grand Ayatollah Sayyid M.S.Al-Hakeem reserved.